All they need is a drink with a little umbrella. It’s like they are on a float in a pool, or a chaise lounge. I love the shot and the image you conjure up of a relaxing tropical scenario. With temperatures forecast to get to only 33 degrees today, I wouldn’t mind being in a place where I could lie in the sun like that. 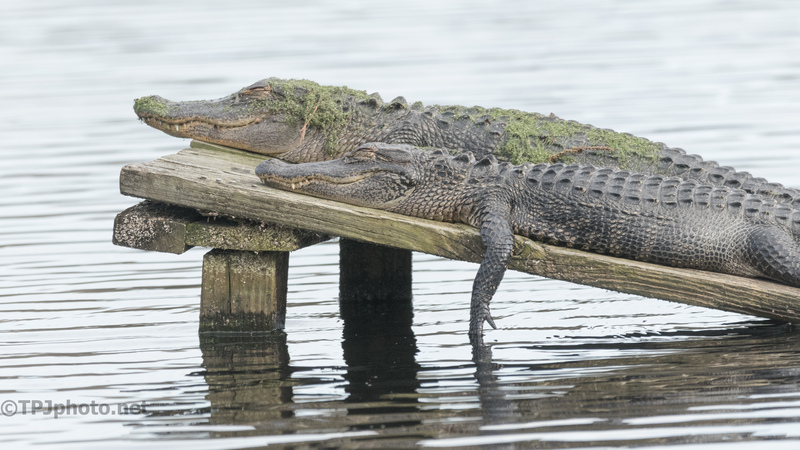 I don’t think, though, that I would be comfortable lying next to one of your gator friends. That’s to be avoided LOL. They will be hiding today anyway. Winter came along and it is 32 outside. Subtropical things don’t do well today… me included. Living the high life never looked so good! Intriguing photo!